The bold new HR-V delivers a multi-dimensional driving experience that’s small on compromise and big on fun. The world’s best selling small SUV blends the beautiful lines of a coupé with the practical space and toughness of an SUV, creating a car that can keep pace with your life, wherever it takes you. Welcome to the new standard in comfort, style and versatility. LED Daytime Running Lights (DRL) give the HR-V a distinctive, purposeful look. We’ve intuitively designed the HR-V cockpit to ensure that everything is where you need it. So, although the elegant dashboard includes the very latest technology, it’s incredibly easy to understand and use. Black and Beige leather upholstery*, automatic climate control and electrically adjustable door mirrors are just some of the features that ensure you will enjoy every journey. Take time out from your hectic day. Relax. We’ve designed the spacious interior of the HR-V to be a really pleasurable place to spend time. You may just be doing the weekly shop but that shouldn’t mean you can’t do it with space and style. Generous cargo space becomes even roomier with the fold-flat rear seats and extended luggage compartment. 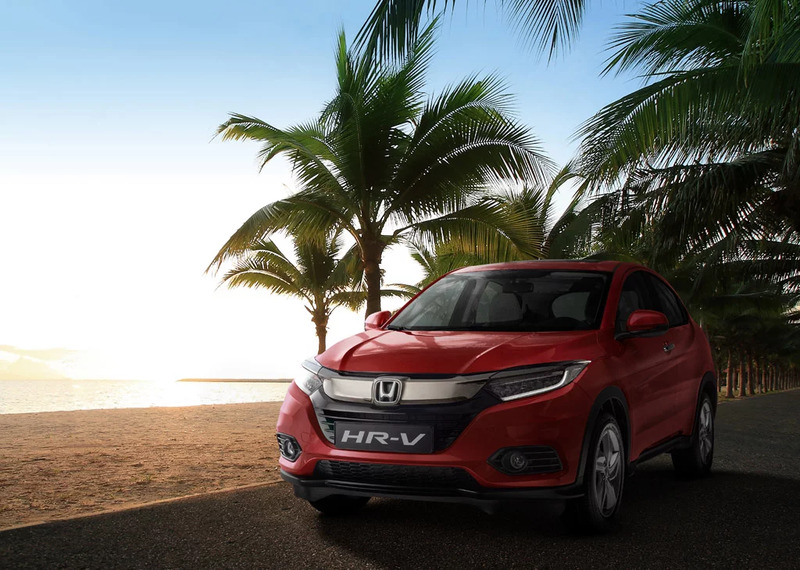 Whether you’re running errands or roaming across the country, the HR-V has room to spare. The HR-V has spirited engine performance matched with low running costs. Featuring a responsive 140hp 1.8 i-VTEC petrol engine which maximises economy and efficiency, achieving 16.9 km/l, or over 800 km on a tank of fuel. The HR-V is front-wheel drive, driven by a 7-speed fully-automatic CVT (Continuously Variable Transmission) for pleasurable, relaxed drive. 1.8 Litre 16 valve SOHC i-VTEC® engine provides excellent performance, on the highway, and the CVT transmission always ensures the correct ratio is selected. City driving is a breeze, whilst achieving outstanding fuel efficiency in its class. WHAT DOES YOUR HRV LOOK LIKE? Saving space and easy to use, simply flip the button to engage the Electronic Parking Brake, the additional Brake Hold function, makes driving in stop-and-go traffic much more convenient. 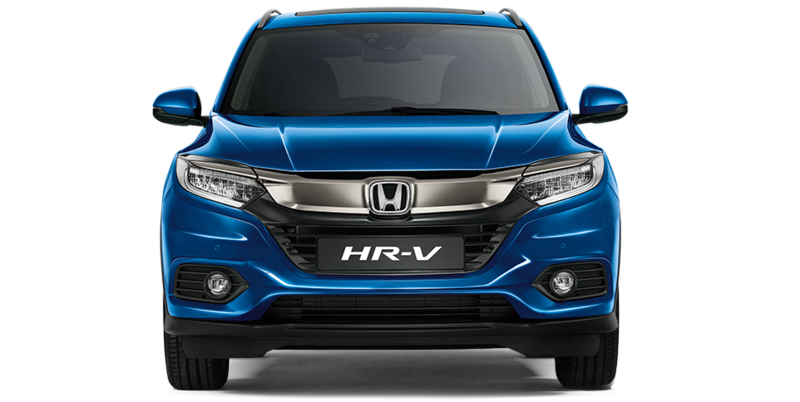 The HR-V steering is mounted with paddle shifters which allow you to control the upshift or downshift of the gearbox similar to a manual transmission. The 6.8 Inch Touchscreen Display Audio has a USB Audio port which allows you to play and listen to your favorite music. The HR-V may be a small SUV, but thanks to its panoramic glass sunroof, it feels roomy and airy on the inside - in fact, you would be forgiven for thinking that you were driving a larger car. Designed to adapt to your lifestyle, the HR-V gives you a clever, comfortable and capacious interior. Centrally-mounting the fuel tank provides the HR-V with a huge boot and our novel Magic Seats® are further evidence of smart thinking. Discover a new standard in comfort and style with a cabin boasting attention to detail. From front seats redesigned for greater comfort to more rear legroom than even many larger SUV’s, you and your passengers are comfortable from point A to B. These ingenious 60:40 split seats can dive down to the floor, making a large space truly vast, or tip up to allow for sideways loading of awkward objects like a bicycle. What is more, you can easily fold the seats with one hand, in a single motion. The HR-V features automatic climate control where you can adjust the temperature of the cabin with the touch of a button.